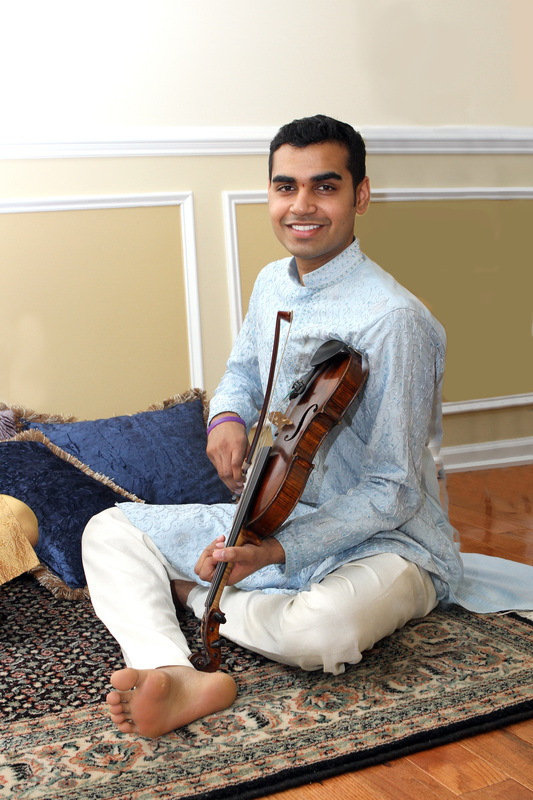 Siddharth Ashokkumar has been learning Carnatic music for the past 12 years. He initially learnt the violin from Smt. Ranjani Swamy and vocal from Smt. Lalitha Venkat of New Jersey. He now takes advanced lessons from Sri Vittal Ramamurthy and Sri Srinivasamurthy of Chennai. He is also currently taking advanced lessons from his Yuva Sangeetha Lahiri teachers in New Jersey facilitated by Suresh Ramachandran and has also received guidance from Smt. Kalyani Ramani. He has accompanied a number of programs in the tri-state area.